We all dream about the day. Many of us make jokes and some can even tell you to the day how many shifts they have before retirement. Law enforcement is a grueling career. Filled with many opportunities to truly change the course of someone’s life for the better. But also, filled with many moments of despair. Retirement can be the proverbial pot of gold at the end of someone’s career. Like many dreams, the reality doesn’t always meet expectations. For many, those dreams of being retired and golfing whenever or relaxing by a beach sometimes fall short. Retiring from law enforcement is more than leaving a job; it is leaving behind a lifestyle, an identity, and a sense of purpose. 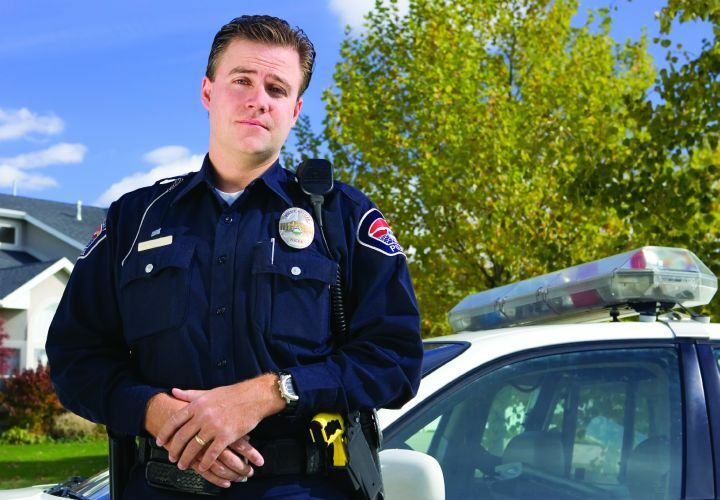 Being a law enforcement officer should mean more than just taking home a paycheck. There are oaths to uphold. You are called to be the gatekeeper between those who do right and those who do wrong. At the start of your career, ambition and the legitimate desire to make a difference perhaps drove you. After several years of continually witnessing the worst humanity can do, you may have depression and anger. Burnout probably knocked on your door after constantly arresting the same people only to see them released before your week is over. You also know what it is like to have a partner who would die for you. Your fellow officers are not just coworkers, they are family. It is a family that understands what it is like to miss your son’s birthday 3 years in a row. They know the pain of not making your daughter’s dance recital. Family reunions, friend’s weddings, and graduation days are a gift you don’t always get to enjoy. This family knows what it is like to work a schedule that is at odds with everyone else in your personal life. Every honest job is important. Doesn’t matter if you wear a tie or a hard hat, or have an office with a view or a vehicle and a fuel card. But there are some jobs that go deeper. Sometimes what you see at work cannot just be left at the office. Being a law enforcement officer will permeate through every aspect of your life It will become as much of who you are as your given name. Your training, calls, and partners will affect how you experience other events of life. That identity of being an officer will become as natural to you as saying your last name. 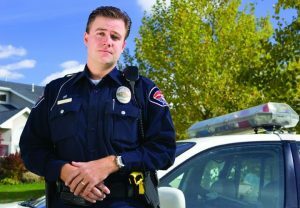 According to an article by Dr. Brian Kinnaird, leaving law enforcement is like losing a vital aspect of who you are¹. If you spend 20 years in a tight-knit group, responding to people in their time of need, constantly being on guard, how well will you adjust to a life of golf and fishing? No more jumping in to literally save the day. Your most exciting moment may be that you got an early tee time. This is a huge shift mentally and emotionally. Your very purpose for the length of an entire career is gone the minute retirement occurs. In an article by Jeff Shannon, an officer, instructor, and therapist, some of the unexpected challenges awaiting a newly retired officer can include problems with spouses, flashbacks, and the challenge to find new friends². For many officers and their families, a routine has long been established and now that routine is turned upside down. While spending more time together sounds ideal, it can require an adjustment period. Depending on how many outside friends the officer had, they may be facing finding an all-new social circle. Most law enforcement officers form a tightly knit group. Due to schedules and the nature of the work, making friends who have other careers is often next to impossible. For some officers who have stayed busy, suddenly being faced with time to think and be still can unleash years’ worth of memories. The daily trauma witnessed by officers can causes mental and emotional issues that need to be addressed. Ignoring the symptoms will not make things better. Retirement, although a huge change, should not be looked at with dread. It is the result of a hard-fought battle. Getting up every day and hitting the streets takes a dedication and determination most in society do not have. What can officers do to make the most of their retirement? Plan! Make sure finances are in the best possible order and that things like health insurance are taken care of. Failing to do so will add stress to what should be an exciting and relaxing time. If you want to stay involved in law enforcement, evaluate your options. Use your years of experience and expertise to help educate new officers by getting involved with training. Security jobs exist in a variety of settings in the private sector. There are even security details at fun events like ball games and concert venues. Give yourself and your spouse time to adjust to the new arrangement. Treat it like a 2nd honeymoon even. But realize that your roles and responsibilities at home will change since you have more time. On the flip side, give your spouse time to adjust to letting you help. Remember, they have been keeping things going while you worked your crazy schedules. Look for opportunities to connect with old friends and make new ones by getting involved in your community or local church. Enjoy this time as you have earned it. ²Shannon, Jeff. Calibre Press. Retirement for Cops, Part I: The Challenges. (Feb 11, 2016). John C. Becker Jr., MHS-C, CTR, is the Director of First Responder Services for Sprout Health Group. John has experience as a police officer, clinician, and outreach professional. He is a former Detective Sergeant with the Hatboro (PA) Police Department and possesses a personal understanding of addiction among first responders, having overcome addiction in his own life. John holds a Bachelor of Science Degree in Behavioral Health Counseling and a Master of Science Degree in Human Services. 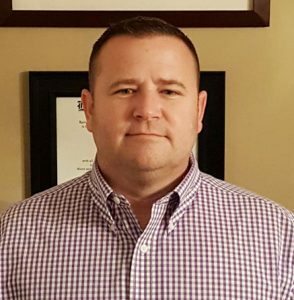 John’s prior experience includes working directly with first responders, both as a clinician and as an outreach coordinator, at one of the top substance abuse treatment centers in Pennsylvania. He is an active member of the Montgomery County (PA) Critical Incident Stress Management (CISM) Team and is certified by the International Critical Incident Stress Foundation (ICISF) for individual and group interventions. John is a member of the Association of Traumatic Stress Specialists (ATSS) and has earned the designation of Certified Trauma Responder (CTR). Additionally, John is a member of the National Police Suicide Foundation. As part of his role as Director of First Responder Services, John also facilitates peer-driven group therapy sessions for Sprout Health Group’s Frontline Responder Services Program. As a member of the Employee Assistance Professionals Association (EAPA), John is skilled in working with unions, human resource departments, internal and external EAP’s, counseling units, and peer support organizations. John Becker Jr. has experience as a police officer, clinician, and outreach professional. John also possesses a personal understanding of substance abuse among first responders, having overcome addiction in his own life. He is the Director of First Responder Services, for Sprout Health Group and was instrumental in developing and implementing Frontline Responder Services. John is an active member of the Montgomery County (PA) Critical Incident Stress Management (CISM) Team and is certified by the International Critical Incident Stress Foundation (ICISF) for individual and group interventions. As a member of the Employee Assistance Professionals Association (EAPA), John is skilled in working with unions, human resource departments, internal and external EAP’s, agency counseling units, and peer support organizations. John is also a member of the Association of Traumatic Stress Specialists (ATSS) and the National Police Suicide Foundation. Additionally, John continues to provide training to agencies and organizations, throughout the country, on topics such as stress, trauma, suicide, and addiction, as they relate to first responders. He can be reached at 215-833-1572 or JohnB@SproutHealthGroup.com.